Imagine you’re out for a night on the town in 2039. Fun to think about — except that scenario will probably never happen. Not because the technology won’t exist. In fact it might already exist in some form or another. There is facial recognition tech that is pretty good at reading your emotions, for example. Instead, it probably won’t happen because the incentives don’t line up. The bar exists to make money selling you drinks. Assuming you’re of legal drinking age, why would the owners limit their profits to support your responsible drinking habits? And maybe even if you’re not of legal drinking age! Check out these fun pictures of spring breakers in South Padre Island, Texas. Why do the locals put up with all that nonsense? Because it generates millions of dollars for the otherwise sleepy local economy. There’s no way all those kids are 21, the legal drinking age in the US. For much of history, it has been a similar story with gambling. In our opinion, profit motives have plagued attempts to promote responsible gambling. Problem gambling is a serious issue. People get addicted just like they do to alcohol, drugs, and so forth. Obviously that is not a good thing. But addictions are great for business. That’s why — in our opinion — you can’t really expect profit-driven organizations to self-regulate around it. At least not as well you’d really like. More often than not they will comply with minimum standards and make some PR statements. Sure, some business leaders have bigger consciences than others. But they also have responsibilities to shareholders and so on and so forth. The incentives just don’t match up well enough for there to be some serious action originating from their end. Probably the most famous historical example of this phenomenon is the tobacco industry. Their so-called self-regulatory efforts were basically just a cover-up. And of course there are other examples we won’t go into here. First, you can show them the profit in doing things differently. That usually means educating the market and creating demand for better, more responsible option. For example, consider the fast food industry, where menu items are literally engineered to be as palatable as possible. Even so, you can see more organic / special diet options in fast food restaurants today than ever. That’s not because the owners care about their clients’ health :) It is because the clients care about their health and are willing to put their money where their mouth is and buy the healthier foods. Second, you can remove profit from the equation. That’s what we’re doing with BlockStamp Games. Gamblers can play for free. As in totally free, with no house edge and fair odds and game designs. We believe that this will disrupt the online casino space as we know it. We’re not aware of any other online casino like it! Note that removing operator profits isn’t necessarily a “magic bullet” that will automatically enforce responsible gambling. 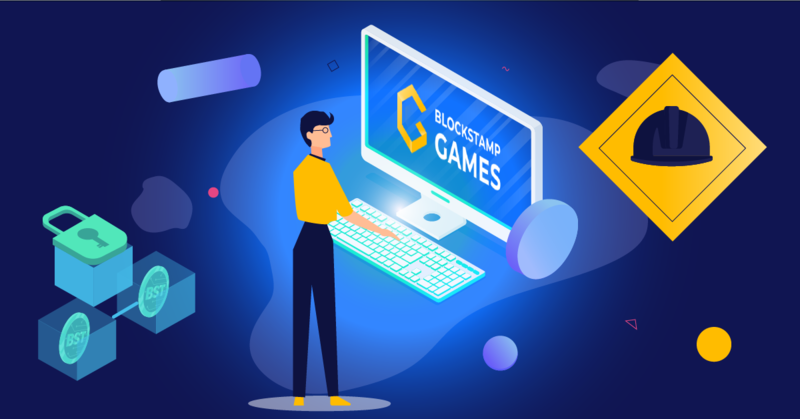 Players can lose money on BlockStamp Games. That’s the point of gambling — you can win and you can lose. Unlike at for-profit online casinos, however, players have an even statistical chance at winning back any losses. Because the odds are absolutely fair, players can repeat the same exact bet and rationally — not just wishfully — expect to break even. But you do need to be disciplined enough to repeat those bets. you will be the only driver on the road for the entire trip. there are other people on the road, with their own agendas, incentives, and crazy driving styles. At BlockStamp Games, the “seat belt” of radically fair odds are built in to the system and there are no third parties “on the road” with profit motives. A little bit of personal responsibility is therefore going to get you much farther than at a for-profit casino! By the way, did you know that seat belts haven’t always been a standard safety feature? It took years and lots of fatalities before they were finally mandated as such. Obviously, radically fair, zero-house edge odds have never been a standard safety feature at online casinos.